Orlando is a terrific place. Planted in the middle of the Sunshine State, saturated by dozens of lakes and within driving distance of two oceans, there’s plenty to offer the adventurous and bold. For those inclined to spend active time with significant others or dates, though, brainstorming ideas beyond kayaking, swimming or heading to the beach can be exhausting. So, here are 10 creative ideas for active dates that you likely won’t find on tourist brochures or “things to do in Orlando” lists. If you’re searching for trad climbing on real outdoor rock, Orlando isn’t the best place. But whether you’re an interested novice or you can send 5.12 routes with ease, this gym offers something for you. Newbies go through a 30-minute belaying course, because the majority of the 10,000 square feet are dedicated to top roping. Day passes are $15 per person, and rental packages of climbing equipment are available for $6.50. Want to chase adrenaline and maybe a little fear with your partner, but don’t want to wait until Halloween or trek to a theme park? Why not consider learning some circus skills? The Orlando Circus School offers a flying trapeze class for $60, in addition to teaching skills on the trampoline, stilts and other impressive stunts. The school offers a number of different packages for private lessons or multi-class packages. Whether you tried archery at summer camp as a kid or you’re just inspired by Lars Anderson, drilling a few bullseyes with a bow and arrow can be satisfying. LeadFeather offers half-hour classes from certified instructors for $30, or just visit the archery range. Rentals are $11 and range rates are $11 per hour. You’re sure to score “unique idea” points with your date for suggesting this game, which the company describes as a mix of basketball, hockey and jai-alai played while riding something like a bumper car. Ten-minute games are $8 per person, and the venue includes an arcade, laser tag and a pub/eatery. 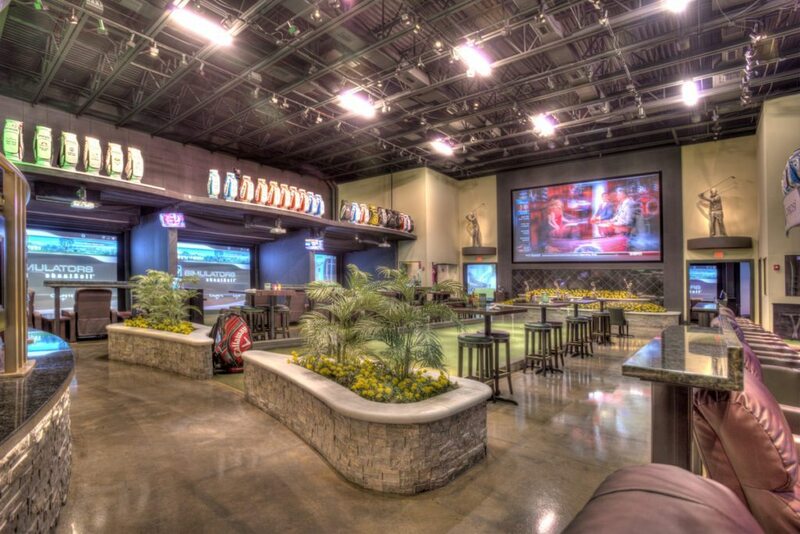 Orlando is one of the world’s golf capitals, so it makes sense that the high-tech, indoor (and air-conditioned) golf simulators at Dewey’s are quite a draw. Almost everything is customizable, from the screen to the choice of several dozen renowned courses to the difficulty level. Play a full 18 or test out a skills challenge. Indulge yourself with a knowledgable human caddy and data-driven feedback, or just have fun hacking through Pebble Beach. Food and drink is served onsite, too. Want to let loose off the road, but don’t have a vehicle or the skills to do so? Whether you want to drive an ATV, buggie, “Mucky Duck” or Jeep, Revolution Off Roading has a course and a vehicle for you. Ride with a trained professional or drive yourself. Packages range from $35 to $185 per person. Take advantage of one of the area’s many lakes to combine two of Florida’s popular fitness activities. Wave Of Wellness offers private SUP lessons in yoga and Bala Tula (price unlisted). Or just rent a paddleboard, find a public lake and try out some familiar poses with the added challenge of instability. If you grew up on the water and want something more extreme than getting towed behind a boat at mild speeds the Orlando Watersports Complex may be a good option. Create a customizable package of rentals or lessons in wakeboarding, kneeboarding and waterskiing. Patrons can choose between a few different cable systems, some of which intersect with obstacles. The company’s slogan, “beyond laser tag,” tells you plenty. Go on tactical laser tag missions to defuse bombs, rescue hostages or take out the enemy on a variety of courses. Great for group dates. Rates start at $53.25 for eight people. Want to get outside, compete, but maintain some social conversation in a relaxed setting? Unlike the frustrations of the sport’s parent name, disc golf is forgiving to those without top-notch skills. Try out a number of courses in the Orlando area, all of which are detailed and mapped on the website of this non-profit organization dedicated to the sport. Others: Primative canoe camping at Wekiva Springs, rowing classes with the South Orlando Rowing Association, tubing/waterskiing past Shaq’s house on Lake Butler, Richard Petty Driving Experience.